We're back and once again it's time for everybody to come aboard the.... weekly article? Yeah, so we're no experts at talking. 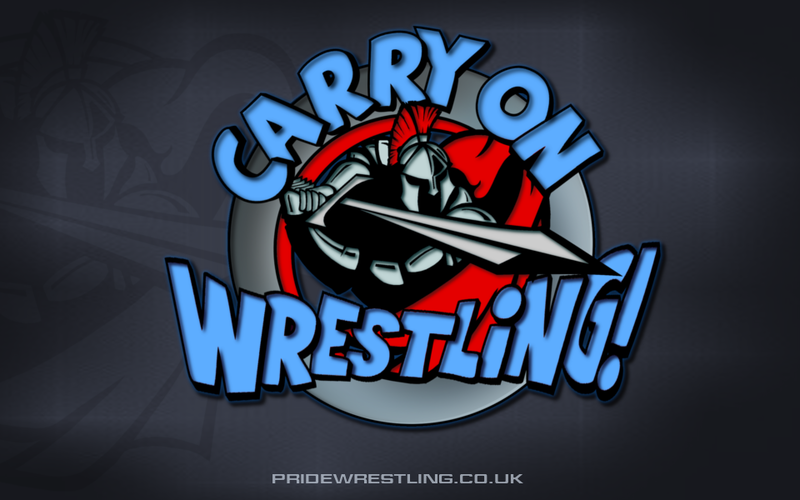 What we are pretty good at though is telling you just a tiny selection of the great events coming up this weekend in British Wrestling. Let's get Ready For The Weekend! Friday night kicks off another wrestling weekend when Fight Club: PRO are back at their usual haunt in Wolverhampton of The Planet Nightclub. The night sees Vol 2 of Planet Terror take place but it could be virtual bliss for us wrestling fans. Back at 'Rise Against' Pete Dunne was originally scheduled to face Clint Margera in a Death match. However, Dunne said that he would never compete in such a match and Rickey Shane Page took his place. Well this Friday marks Margera's birthday and FCP management have let Margera choose any match he wants as way of a gift. So Dunne will be in this match. He will be facing Margera. And it shall be an unsanctioned Death match! Clint Margera might not only be ripping open gifts, he could be ripping open Pete Dunne. For months, The Hunter Brothers have been at odds with The Facesmashers. Last month, Wild Boar & Dan Moloney said they wouldn't face Hunter Brothers again until they proved themselves. Well FCP think Hunter Brothers have proven their worth so these two teams are going to meet once again in an attempt to settle their differences. Whether we'll see the end to this war or not, we're seeing another battle in Wolverhampton this Friday. The main event on April 15th shall see MK McKinnan defending the FCP Championship for the first time this year. His opponent shall be having their first challenge for a championship in FCP, Nixon Newell. McKinnan has stated that he believes Newell has no place in the ring with him. Newell has proven without doubt that she is equal to any man or woman to grace FCP. If McKinnan thinks that Newell is no real threat to his championship reign then simply he won't walk out of The Planet Nightclub as champion. 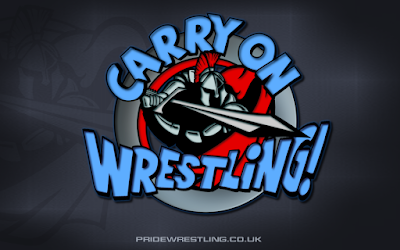 Moving on to Saturday and Pride Wrestling are hosting their first event of 2016 at their home of the Bridgeton Community Centre in Glasgow. The night sees championships defended and new threats emerge. Chris Renfrew and DCT have been battling over the N7 Championship since last year with Renfrew going to any length to remain champion. However, DCT's resilience has lead to Renfrew showing him a degree of respect. DCT's quest and hunger for the N7 Championship is still as strong as it ever was. He will not stop until he becomes champion. Each time he has come closer than the last. Could this be his time to topple Renfrew and become champion or will he come up short once again to the antics of the champion? Massimo Italiano is back in action at Pride after an impressive debut at their last event. This time round he's going one on one with possibly the most popular man in Pride, Bobby Roberts. Italino is a big hitter and he'll need to hit hard to get Roberts off his feet and down for the three-count. The crowd will almost certainly be behind 'Big Beefy' as he welcomes back the big Italian. When Pride finishes we shall know who has a guaranteed championship match as the 24/7 Challenge returns this Saturday. The past two challenges have been won by men who have both went on to become Pride Heavyweight Champion thanks in part to the any championship, anywhere clause. This 24/7 Challenge sees one of those men, 'The Lowland Superstar' Glen Dunbar once again compete for the contract. His long-time tag team partner, Alex Cavanagh and Christopher Saynt have also been announced for the match. The unknown in this match will come from the two unannounced entrants. Everyone in Pride Wrestling will want to be a part of this match as previous winners have shown it's potential to be a rocket to championship gold. The eventual winner will just have to overcome four other competitors to get that chance. Christopher Saynt vs ‘The Lowland Superstar’ Glen Dunbar vs Alex Cavanagh vs ??? vs ??? 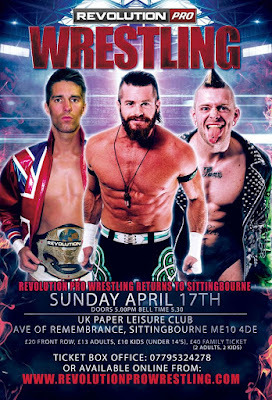 Rounding off the wrestling weekend and Revolution Pro Wrestling are at the UK Paper Leisure Club in Sittingbourne with their 'Sittingbourne Spectacular 2016' event. RevPro are well-known for the international match-ups and this event is no different with international stars in every match that has been announced. 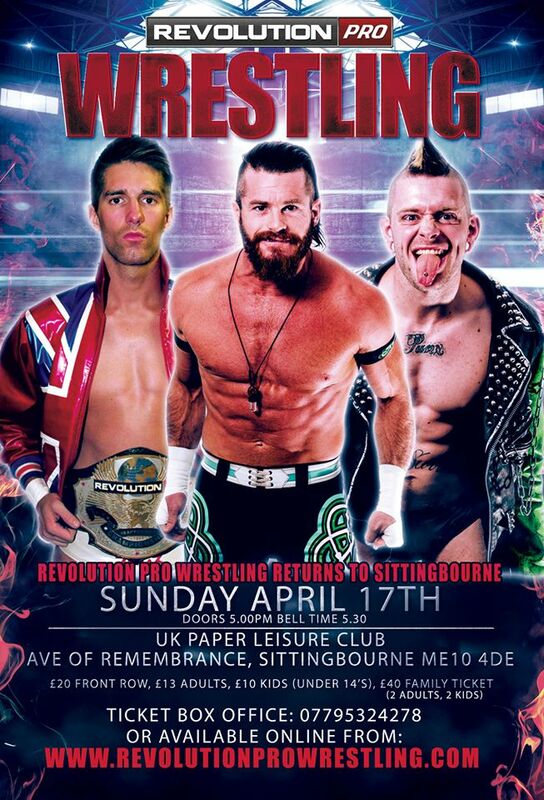 That is not be a slight at RevPro as they have scheduled some mouthwatering match up with the best of British stars. Pete Dunne only debuted in RevPro a few months ago during the Undisputed British Cruiserweight Championship tournament. He went on to win that tournament and has been having stellar matches since. This Sunday looks to be no different as he faces one of the best cruiserweights in the world in the shape of Matt Sydal. Sydal has had a number of memorable matches in the past few years. This match could well be added to that list when he faces Dunne. When RevPro announced the first match for this event we knew the calibre we were getting. King Ricochet returns to RevPro to face 'The Aerial Assassin' Will Ospreay. Both of these men have appeared in the US, both are members of the New Japan Pro Wrestling roster. This is a match of world-class, epic proportions. Make no mistake this match will show why both of these men are the most in demand stars in the world right now. The main event will see championship gold defended as Zack Sabre Jr defends the Undisputed British Heavyweight Championship against Michael Elgin. ZSJ won the championship from now WWE star, AJ Styles back in January. Not only did ZSJ win but he made Styles tap out to do it. Styles on that night declared the new champion to be one of the best in the world. A sentiment echoed by many others. He'll have to be indeed one of the best this Sunday as the challenger, Elgin, is a powerhouse of professional wrestling. Elgin has appeared in RevPro before and he impressed in a big way. Since then he has grown in talent and power. ZSJ is a technical wizard whose kicks are as hard as his holds are to escape from. He'll need those talents to counter the power and strength that Elgin will bring to the table on April 18th.